The global debut of the fourth generation Suzuki Swift was hosted in Japan at the end of December 2016 and it went on sale there immediately. It begged a question of when its Sport version will enter international market considering the evolutionary approach Suzuki has vested on and we suppose a launch is on the cards in the middle of 2017. Test mules of the performance-oriented model was spied testing numerous times last year and it will come donning a new style as its standard sibling. The exterior gets a radical change in its new avatar with a much sharper stance. 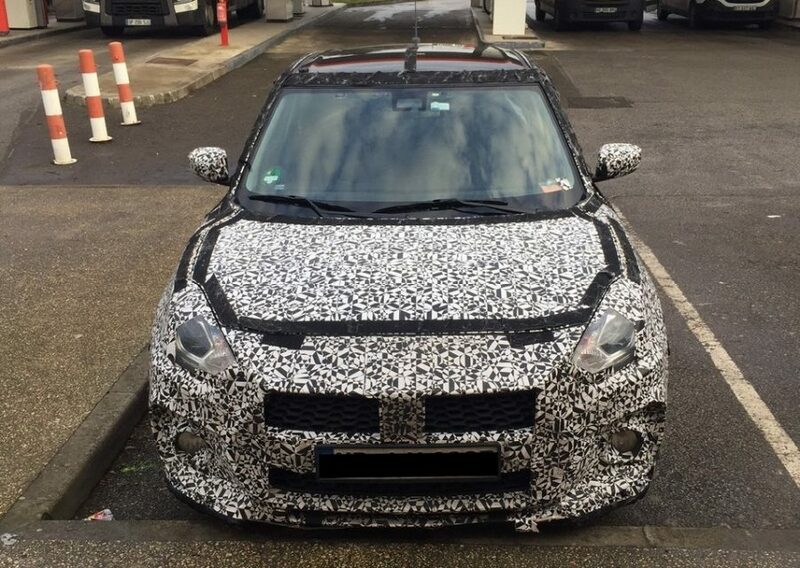 The new spyshots taken in France reassures that it comes with a new aggressive radiator grille, revised front bumpers, sporty body kit while headlamps too get redesigned appearance and sport integrated LED Daytime Running Lights. The air intake seems to be larger than the regular model and the front chin spoiler should aid in aerodynamic downforce. Changes at the side profile include flared wheel arches and newly designed multi-spoke larger black finished alloy wheels. The rear also gets updates like small roof spoiler and twin round exhausts but the lighting system will remain identical though. 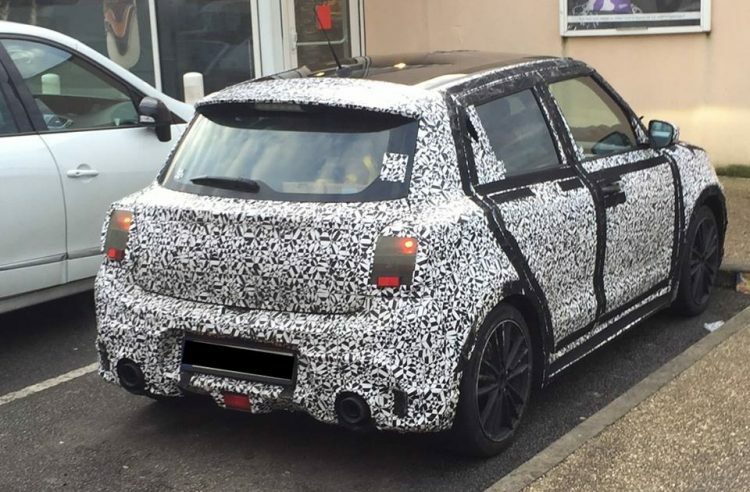 The interior of the 2017 Suzuki Swift Sport will feature changes as well. Expect it to come with updated touchscreen infotainment system giving access to Apple CarPlay and Android Auto connectivity, and instrument cluster alongside an all-black theme to enrich the sportiness. The upholstery may get contrast touches while the ambient and mood lighting settings should make for a relaxed driving experience. It is certain that the car features more aggressive and sportier appearance than the regular version but the arrival of new VW Polo GTI along the lines should force Suzuki to ponder more on the performance front. The new Swift Sport will be more lighter aiding fuel economy and the all important performance. 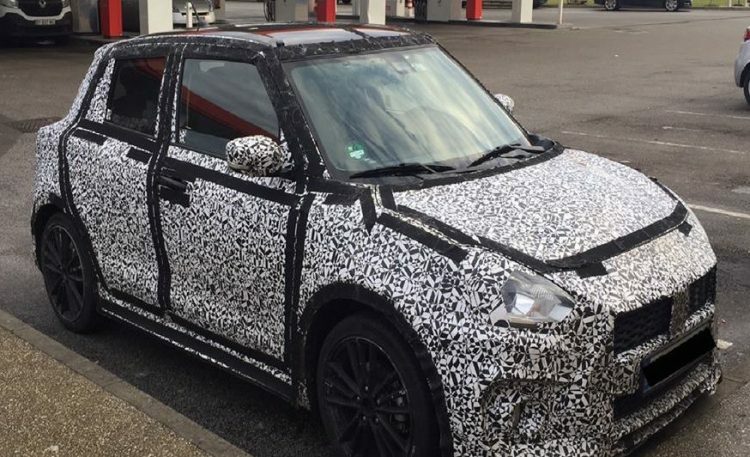 Mechanically, the new Suzuki Swift Sport is likely to get a range of engine options that may include a hybrid system and a three-pot 1.0-litre Boosterjet unit. For performance desiring markets, the 1.4 litre four-cylinder turbocharged Boosterjet engine that powers the Suzuki Vitara S could be used to churn out 140 hp of peak power. It will put it right up against the Punto Abarth if/when launched in India. The engine is reported to be built at Maruti Suzuki’s Manesar facility where the 1.0-litre Boosterjet turbo-petrol for the upcoming Baleno RS is also manufactured. Considering the fact that they share common architecture, we could see the Maruti Suzuki Swift Sport being priced competitively in India. As the regular Swift, which underpins the lightweight platform of Baleno, expect a kerb weight below 1,000 kg for the Sport version. It will likely get lowered ride height, stiffened suspension, larger brake system and so on.